A Saudi prince has described US businessman Donald Trump, a candidate for the Republican presidential nomination, as a “disgrace to America”. Prince Alwaleed bin Talal said on Twitter that Mr Trump should give up his presidential ambitions because he would never win. 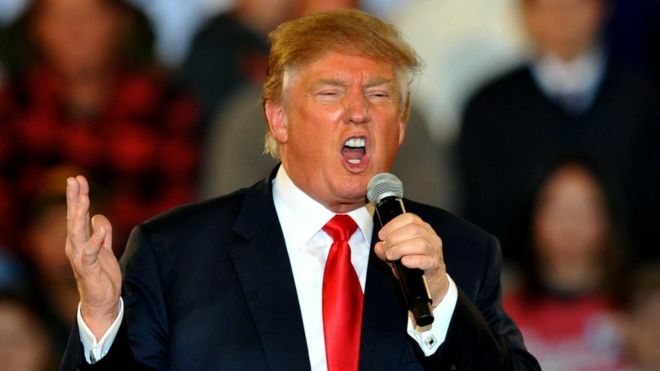 It follows Mr Trump’s call for Muslims to be barred from entering the US for security reasons. Mr Trump tweeted back, calling the prince “dopey”. Mr Trump responded by accusing the prince of wanting to use what he called “daddy’s money” to control US politicians. That would not happen, Mr Trump said, when he got elected.